Istron Bay in Agios Nikolaos: The perfect accommodation! With five different room types to choose from, here at Istron Bay in Agios Nikolaos, you’ll definitely find the one for you! Accommodation at Istron Bay hotel is designed with your comfort in mind. All our rooms are fully equipped, comfortable and bathed in warm sunlight. Tastefully decorated, all our accommodation is spacious and has private balconies. We offer a daily cleaning service, room service, as well as massage and yoga in the privacy of your room. 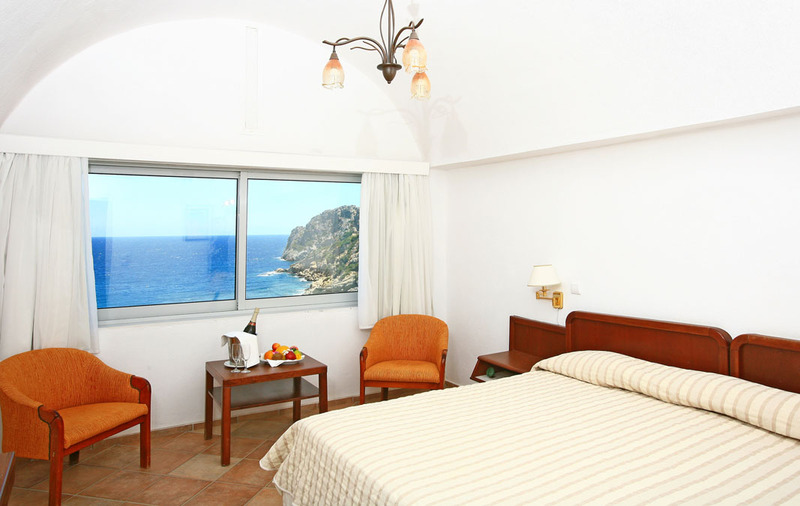 Most importantly, all rooms look out on the sea, so your holidays are dressed in blue! Here, at Mirabello bay in Agios Nikolaos we have the perfect room for you!